Centre Staff . . .
Peter is responsible for managing the centre and one of his key roles is to keep the organisation running effectively, and find new opportunities. He joined the team in June 2013. Peter has a background in senior management of community services in Local Authorities, and subsequently as a management consultant specialising in community services. Peter also runs his own art sales gallery. Irene is an IT, Maths and English tutor and a learning adviser offering Information, Advice and Guidance. Irene joined LymeNet in 1999 and her previous experience includes working in administration and sales, as well as running her own business. She has an NVQ3 in guidance, an NVQ A1 Assessor's Award and a Further Education teaching certificate. She also has an initial certificate in teaching Skills for Life (both Maths and English) and Level 4 subject specialism in Literacy. She works extensively with young people and has completed the understanding Connexions diploma. She also teaches IT and has the European Computer Driving Licence and ECDL Expert. 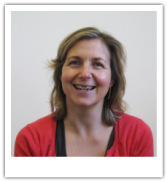 Caroline is a part time tutor and learning adviser at LymeNet. Her main responsibility is to teach ICT to a range of students including beginners, improvers and those with more advanced requirements. Other responsibilities include providing Information, Advice and Guidance to people who want to know about training or employment opportunities. Caroline gained a BA Honours Degree in Psychology in 1982 and has subsequently gained further qualifications including the City and Guilds 7307 Teaching Certificate; ECDL and a Level 3 Certificate in Information Advice and Guidance. Jo is a Learning Advisor offering Information, Advice and Guidance, related to employment, training and education opportunities. Jo joined LymeNet in 2010 and her previous experience includes working as a Careers Adviser for 10 years and running a Career Club for unemployed young people. Jo is a qualified Careers Adviser, gaining her Diploma in Careers Guidance from University of the West of England, and has an honours degree in Sociology with Psychology. Jo grew up locally and has two young children.